Over the years, McFarland has completed many hardscape projects throughout the city. Our projects include landscape timber, retaining walls and borders, driveways, stone masonry, stone walkways, decks, patios, brick sidewalks, fire pits, water fountains, ponds, and blue stone patios. We work to create gorgeous outdoor living spaces with free flowing form and functionality. 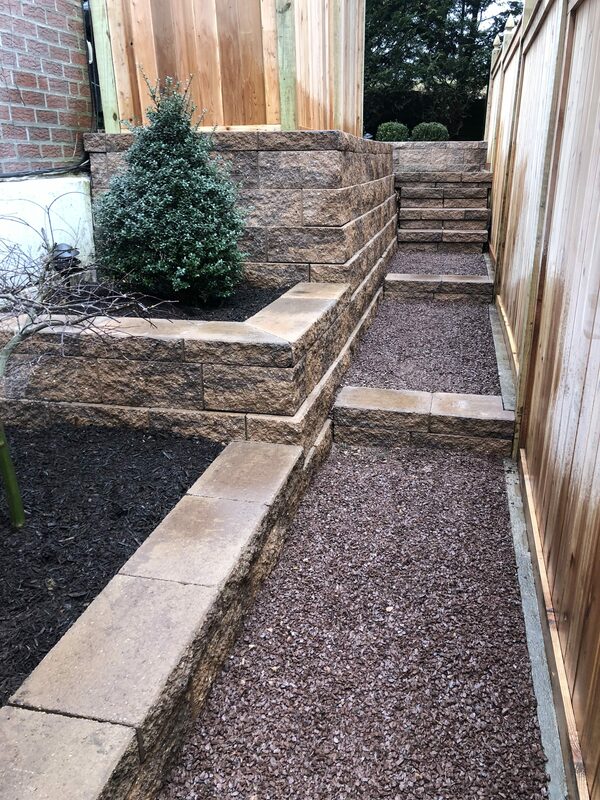 Please see below for some images of our recently completed hardscape projects.